Home > Pasta/Rice/Grains > Gnocchi di Patate. 500gm. Imported Italian Pasta | These light and fluffy potato gnocchi are imported from Emilia-Romagna. A stable in Italy since the 19th century, Gnocchi is often used as a first course. 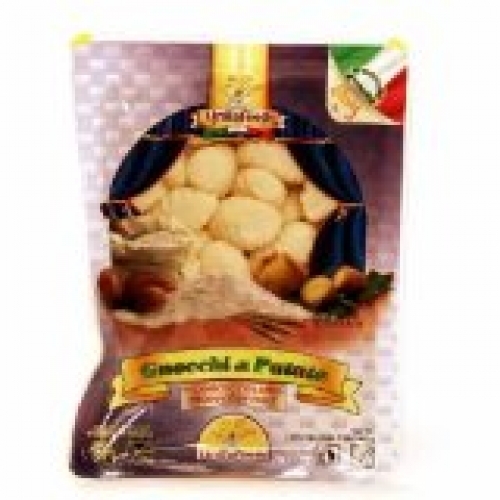 Exceptionally versatile, LirmaFoods gnocchi is delicious with tomato, oil, cream, or cheese based sauces - so try it with your favorite!